The Mar D'or apartments are one of Estartit's finest complexes just 500 metres to the beach, 500 metres to the town and close to all amenities, shops, restaurants, cafes, supermarkets, and the very pretty marina overlooking the Medes Isles. A superb 'feature' swimming pool with free poolside sun beds. The 450 m2 pool features a bridge and varying depths. There is also a separate shallow children’s pool. The Mar D'or onsite café offers coffees, cold drinks, pastries, snacks and a selection of tasty Catalan dishes. We have a selection of 1, 2 and 3 bedroom apartments. 2 and 3 bedroom Penthouse apartments with sunny roof terraces and BBQ. Duplex apartments. 2 and 3 bedroom garden apartments. Exact apartment photos are given to client enquiries. Apartments have - washing machine, fridge freezer, electric cooker, microwave, TV. Air conditioning available in some of the apartments please ask at time of enquiry. Some apartments have pool view and some have mountain or roadside views - please ask at time of enquiry. Most apartments have a dishwasher please ask at time of enquiry. Wifi available (ask for details). This complex has a lift. Wheelchair friendly complex. 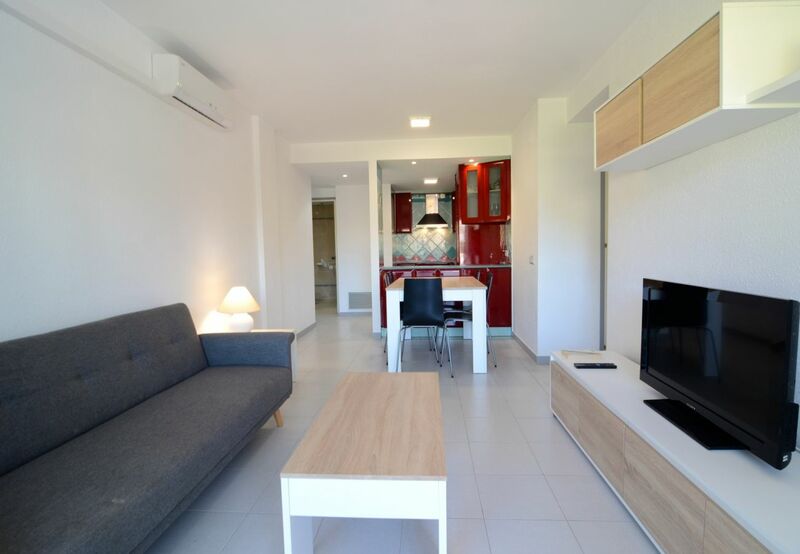 This 1 bedroom apartment is located on the first floor at the Mar Dor Complex. Perfect for couples, singles and small families the apartment has a lounge with TV, sofa bed and doors to the terrace which has a view of the pool. Dining area and fitted kitchen including dishwasher. The apartment has a bathroom and washing machine. The Mar D'or apartment complex is one of Estartit's most popular choices. The accommodation is situated only a 5 minute walk from the beach. It has large gardens and a superb feature swimming pool with free poolside sunbeds. This 1 bed apartment accommodates 2-4 people: This lovely apartment is ideal for couples or small families. The apartment has a double bedroom. The lounge has TV, sofa bed for 2 guests and patio doors to the balcony. 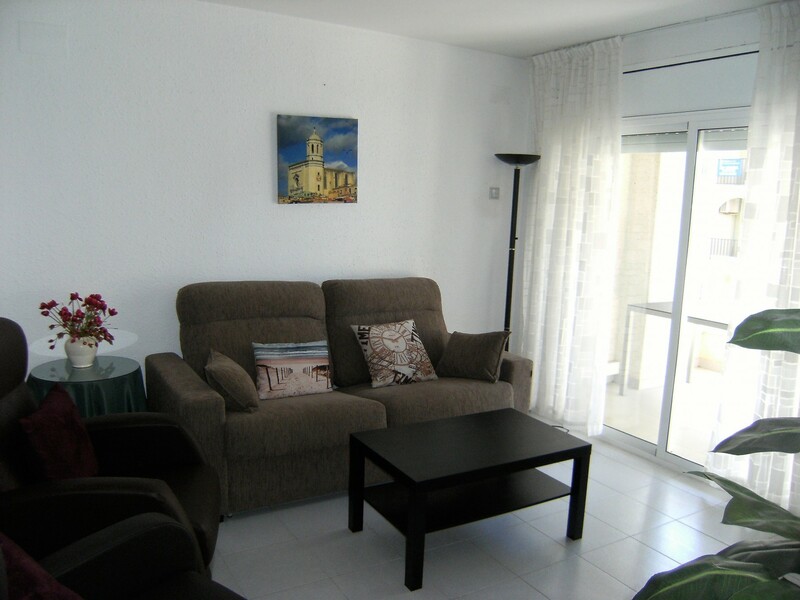 2 bedroom holiday apartment for rental located in the Mar Dor complex. The apartment has two bedrooms and a bathroom. The lounge with TV and doors the the balcony which has a pool view. Equipped kitchen including dishwasher. The apartment has a washing machine. Wifi is available (please ask for details). Use of the large communal swimming pool. This holiday apartment has 2 bedrooms (2 twins). 1 Bathroom. Equipped kitchen including dishwasher, lounge with TV and doors to the terrace. The apartment has a washing machine. Located on the second floor in the complex and there is a lift for guests use. Situated in the Mar D'or complex in Estartit, with use of a large communal swimming pool, located 500 metres from the beach. 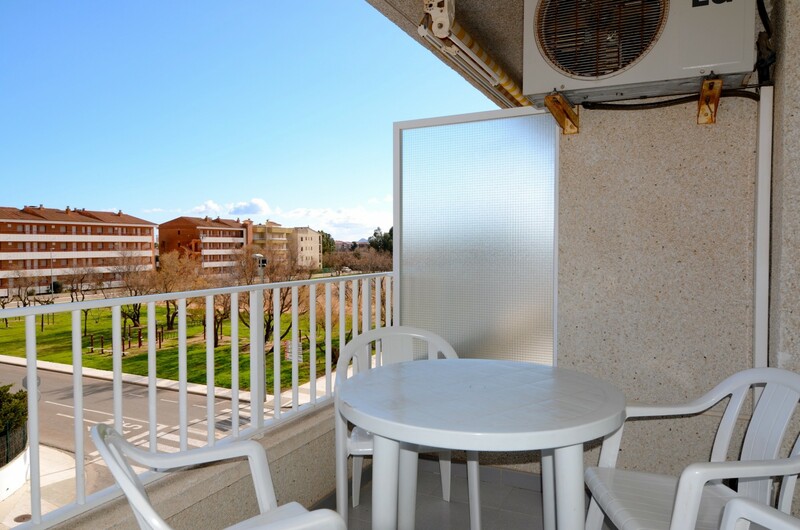 First floor apartment rental located at the Mar Dor complex in L'Estartit. The apartment has 2 bedrooms, one has 2 single beds and the second has a single bed and a separate pull out bed. There is a sofa bed for 2 guests in the living/dining room area. It has a well equipped kitchen, bathroom, air conditioning and a terrace with views of the local football ground and the Rocamaura mountain. This apartment is located on the first floor at the Mar Dor Complex. The apartment has a lounge with air-conditioning, TV and doors to the terrace which has a view of the pool. Dining area and fitted kitchen including dishwasher. There are two bedrooms (1 double and 1 with bunk beds) and a family bathroom. The apartment has a washing machine. Wifi is possible (please ask for details). 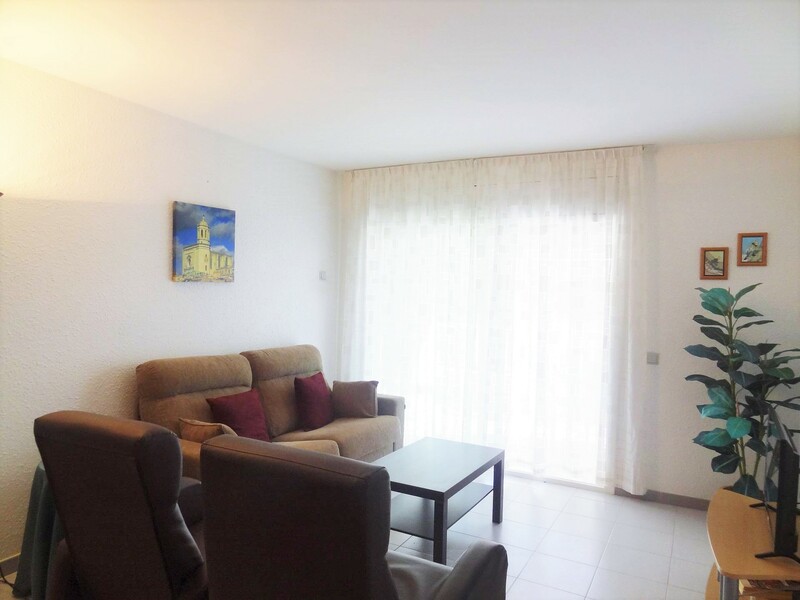 This holiday apartment is located on the first floor at the Mar Dor Complex. The apartment has a lounge with TV and doors to the terrace which has a view of the pool. Dining area and fitted kitchen including dishwasher. There are two bedrooms (1 double and 1 with bunk beds) and a family bathroom. The apartment has a washing machine. Wifi is possible (please ask for details). 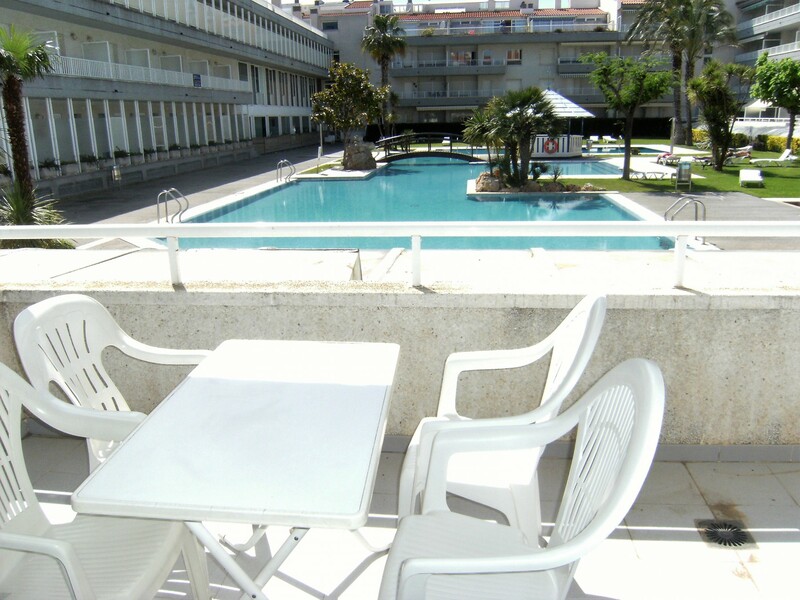 The beach is 500 metres away and a supermarket is a short walk from the complex. 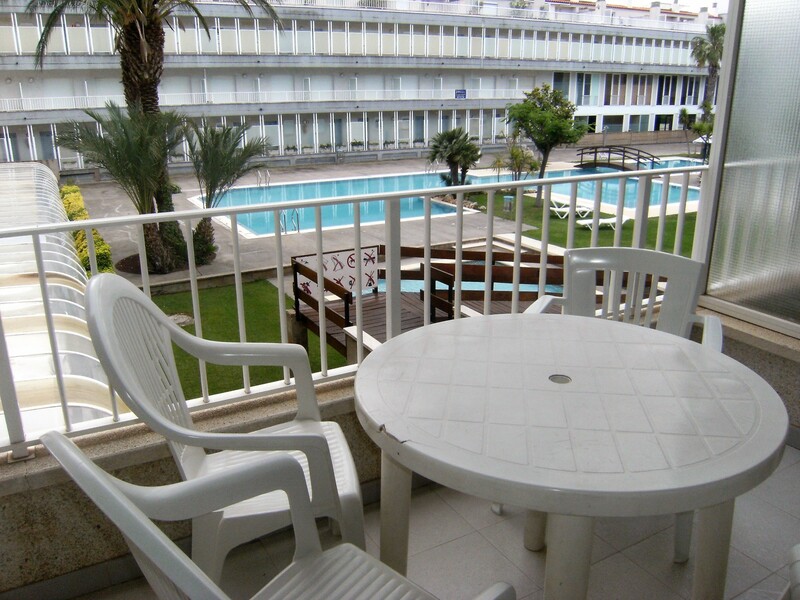 This holiday apartment rental is located on the first floor at the Mar Dor Complex. The apartment has a lounge with TV and doors to the terrace which has a view of the pool. Dining area and fitted kitchen including dishwasher. There are two twin bedrooms and a family bathroom. The apartment has a washing machine. Wifi is possible (please ask for details). This apartment is located on the ground floor at the Mar Dor Complex. The apartment has a lounge with TV and doors to the terrace which has a view of the pool. Dining area and fitted kitchen including dishwasher. There are two bedrooms (1 double and 1 twin) and a family bathroom. The apartment has a washing machine. Wifi is possible (please ask for details). 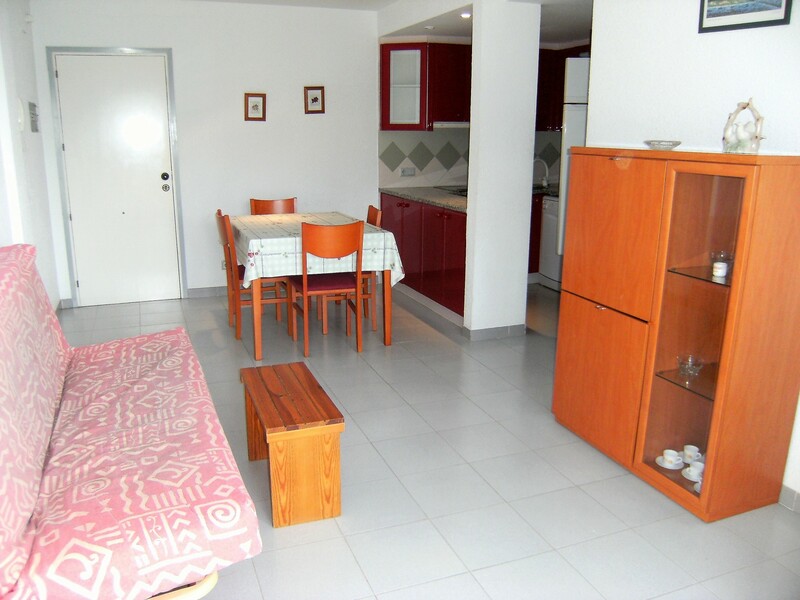 This apartment rental is located on the first floor at the Mar Dor Complex. The apartment has a lounge with TV and doors to the terrace which has a view of the pool. Dining area and fitted kitchen including dishwasher. There are two bedrooms (1 double and 1 with bunk beds) and a family bathroom. The apartment has a washing machine. Wifi is possible (please ask for details). 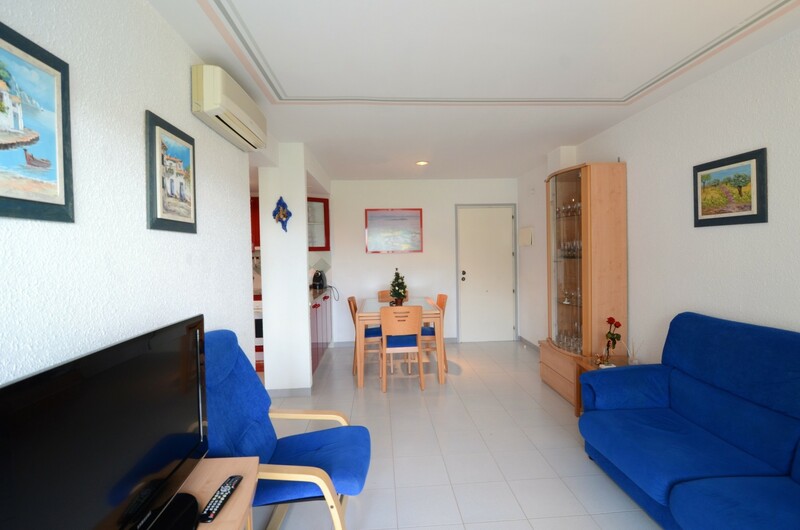 This holiday apartment is located on the first floor at the Mar Dor Complex. The rental has a lounge with TV and doors to the terrace which has a view of the pool. Dining area and fitted kitchen including dishwasher. There are two twin bedrooms and a family bathroom. The apartment also has a washing machine. Wifi is possible (please ask for details). This apartment is located on the second floor at the Mar Dor Complex. The apartment has a lounge with TV and doors to the terrace which has a view of the pool. Dining area and fitted kitchen including dishwasher. There are two twin bedrooms and a family bathroom. The apartment has a washing machine. Wifi is possible (please ask for details). This apartment is located on the second floor at the Mar Dor Complex. The apartment has a lounge with TV and doors to the terrace which has a view of the pool. Dining area and fitted kitchen including dishwasher. There are two bedrooms (1 double and 1 twin) and a family bathroom. The apartment has a washing machine. Wifi is possible (please ask for details). This apartment is located on the second floor at the Mar Dor Complex. The apartment has a lounge with TV and doors to the terrace which has a street view. Dining area and fitted kitchen including dishwasher. There are two bedrooms (1 double and 1 with bunk beds) and a family bathroom. The apartment has a washing machine. Wifi is possible (please ask for details). This apartment is located on the first floor at the Mar Dor Complex. The apartment has a lounge with air-conditioning, TV and doors to the terrace which has a street view. Dining area and fitted kitchen including dishwasher. There are two bedrooms (1 double and 1 twin) and a family bathroom. The apartment has a washing machine. Wifi is possible (please ask for details). This apartment is located on the second floor at the Mar Dor Complex. The apartment has a lounge with air-conditioning, TV and doors to the terrace which has a street view. Dining area and fitted kitchen including dishwasher. There are two bedrooms (1 double and 1 with bunk beds) and a family bathroom. The apartment has a washing machine. Wifi is possible (please ask for details). This apartment is located on the ground floor at the Mar Dor Complex. The apartment has a lounge with TV and doors to the patio which is street facing. Dining area and fitted kitchen including dishwasher. There are two twin bedrooms and a family bathroom. The apartment has a washing machine. Wifi is possible (please ask for details). This apartment is located on the first floor at the Mar Dor Complex. The apartment has a lounge with air-conditioning, TV and doors to the terrace which is street facing. Dining area and fitted kitchen including dishwasher. There are two twin bedrooms and a family bathroom. The apartment has a washing machine. Wifi is possible (please ask for details). This apartment is located on the first floor at the Mar Dor Complex. The apartment has a lounge with sofa bed, TV and doors to the terrace which is street facing. Dining area and fitted kitchen including dishwasher. There are two bedrooms (1 twin and 1 with single bed and extra pull out bed) and a family bathroom. The apartment has a washing machine. Wifi is possible (please ask for details). This apartment is located on the third floor at the Mar Dor Complex. The apartment has a lounge with sofa bed and TV and doors to the terrace which is street facing. Dining area and fitted kitchen including dishwasher. There are two twin bedrooms and a family bathroom. The apartment also has a roof terrace, There is a washing machine. Wifi is possible (please ask for details). The apartment has a bright and comfortably furnished lounge with air-conditioning, TV, dining area and doors to the furnished terrace with views of the pool. The kitchen is equipped with cooker, hob, microwave, dishwasher and fridge/freezer. There is a double bedroom and a twin bedroom (the double bedroom has air-conditioning). A family bathroom and a washing machine. Wifi is possible (please ask for details). This apartment is located on the first floor at the Mar Dor Complex. The apartment has a lounge with TV and doors to the terrace which is street facing. Dining area and fitted kitchen including dishwasher. There are two bedrooms (1 double and 1 twin) and a family bathroom. The apartment has a washing machine. Wifi is possible (please ask for details). This apartment is located on the third floor at the Mar Dor Complex. The apartment has a lounge with air-conditioning and TV and doors to the terrace which is street facing. Dining area and fitted kitchen including dishwasher. There are two bedrooms (1 double and 1 twin) and a family bathroom. There is a washing machine. Wifi is possible (please ask for details). 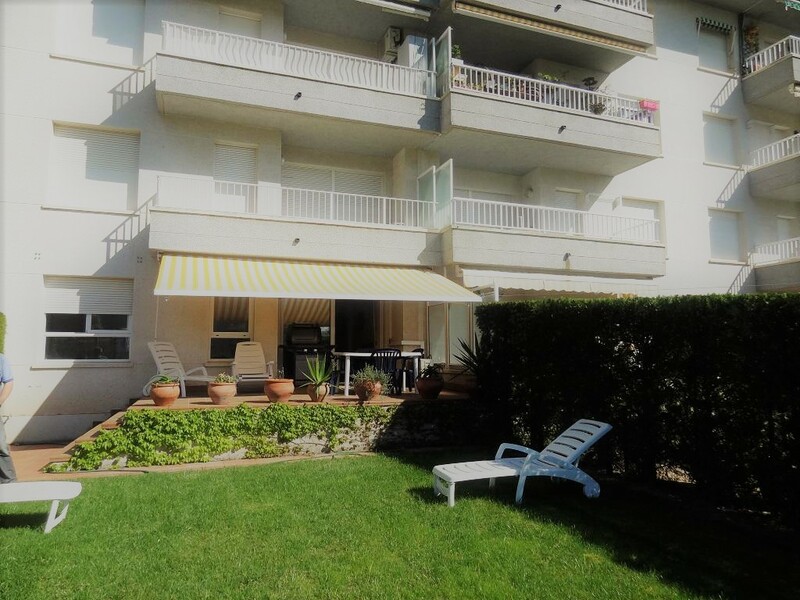 This 2 bedroom apartment sits on the 3rd floor of the Mar D'or complex overlooking the garden and swimming pool area. It sleeps 4 persons and has air conditioning in the lounge. A Wifi connection is possible at a small extra cost. This Penthouse Apartment at the Mar D'or offers that little bit extra with a private roof terrace. This 2 bed apartment is on two levels, equipped with air-conditioning at a Jacuzzi bath. 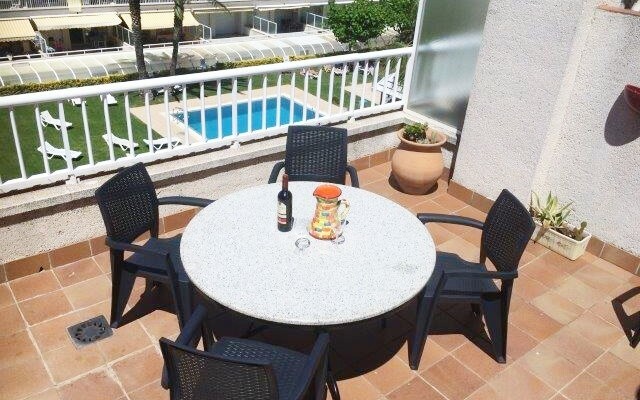 This lovely penthouse apartment rental in Estartit is nicely furnished throughout and comfortably sleeps up to six guests. Mar D'or apartment with private garden situated in the Mar D'or complex in Estartit, located 500 metres from the beach. 2 bedrooms (1 double and 1 twin bedroom). 1 Bathroom. Equipped kitchen including dishwasher, lounge with TV and air-conditioning. The property has a washing machine. Wifi and parking possible (please ask for details). 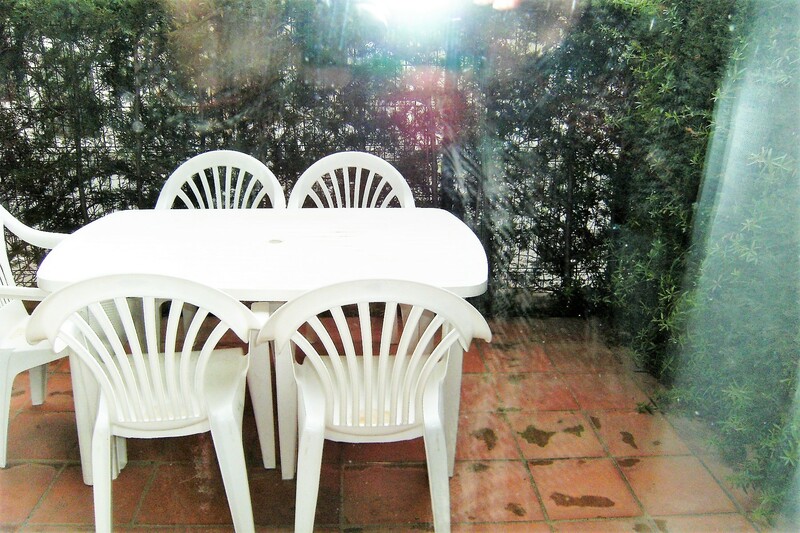 Sunny private garden, not pool facing, situated in the Mar D'or complex in Estartit, located 500 metres from the beach. 2 bedrooms (1 double and the second bedroom has a sofa bed). An extra fold up bed can be provided if required. Equipped kitchen, lounge with TV. The property has a washing machine and is nicely furnished. 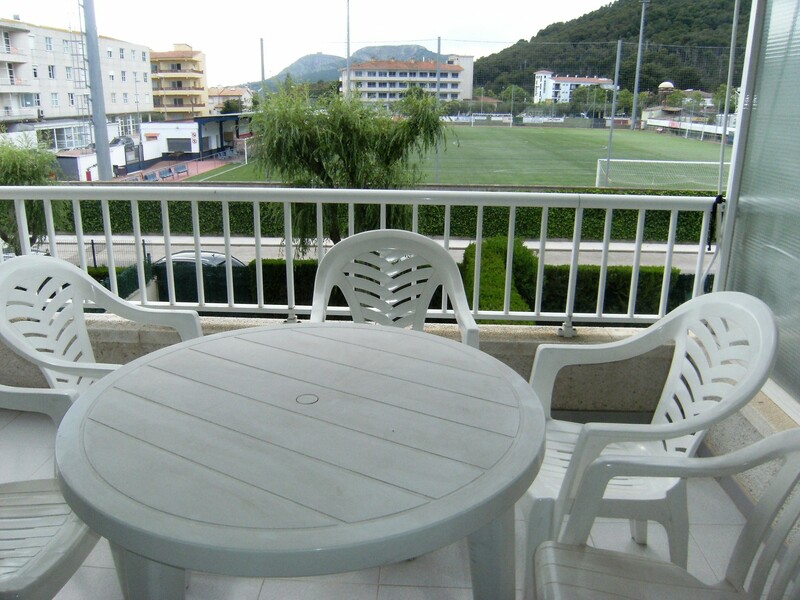 This duplex holiday apartment is located on the ground/first floor of the Mar Dor complex in Estartit. American style kitchen with dining living area leading onto a ground floor terrace (not pool facing). On this level is also a WC. A wooden staircase to the first floor level with 1 twin bedroom with small street facing balcony and 1 bedroom with two singles with a small pool facing balcony. The bathroom is also on this level and has a jacuzzi bath. 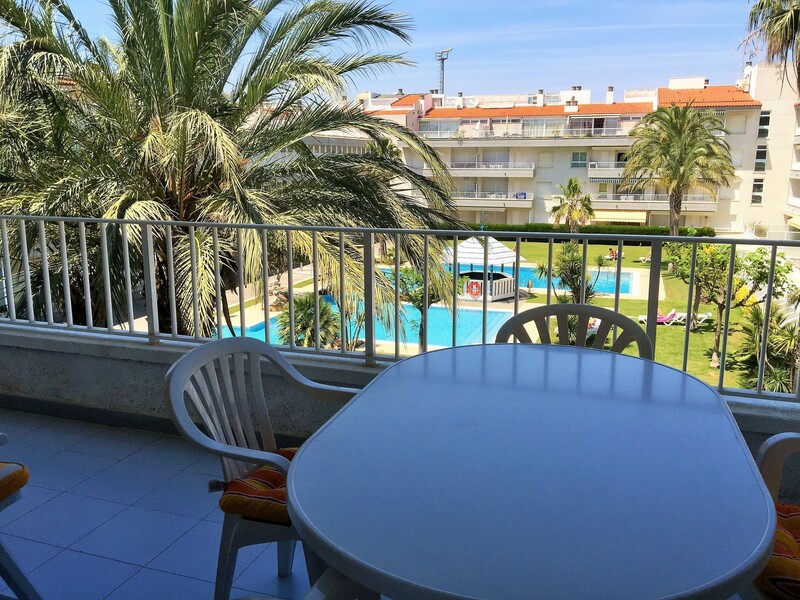 Situated at the front of the complex on the third floor, this apartment is all on one level with a large living dining area leading onto a balcony over looking the pool area. There is an american style kitchen. There is one double bedroom and a twin room. The sofas in the lounge can be used as beds. This property has an air conditioning unit. Non pool facing apartment on a lower level. The apartment is all on one level with a large living dining area leading onto a balcony. There is an american style kitchen. There is one double bedroom and a twin room. The sofas in the lounge can be used as beds. This property has an air conditioning unit. Mar Dor apartment rental with pool views in Estartit The apartment has 2 bedrooms, large living/dining room with TV, kitchen equipped with oven, hob, dishwasher, microwave and fridge freezer. Bathroom with bath. Terrace overlooking the communal pool. Parking place. This apartment is located on the ground floor at the Mar Dor Complex and has views of the communal swimming pool from the spacious 30m2 terrace. The apartment has a lounge with TV, air-con and doors to the terrace. Dining area and fitted kitchen including dishwasher. There are two bedrooms (1 double and 1 twin) and a family bathroom. The apartment has a washing machine. Parking and wifi are possible at a small extra cost (please ask for details). 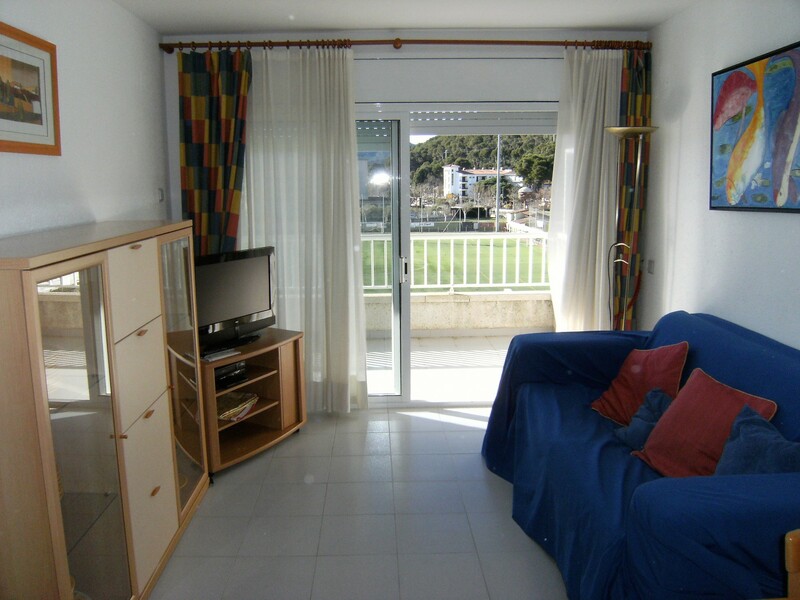 Holiday apartment for rental located in the Mar Dor complex, Estartit. 2 bedrooms. Bathroom. Equipped kitchen including dishwasher, lounge with TV. The property has an air-conditioning unit. Furnished balcony with sun shade and pool views. 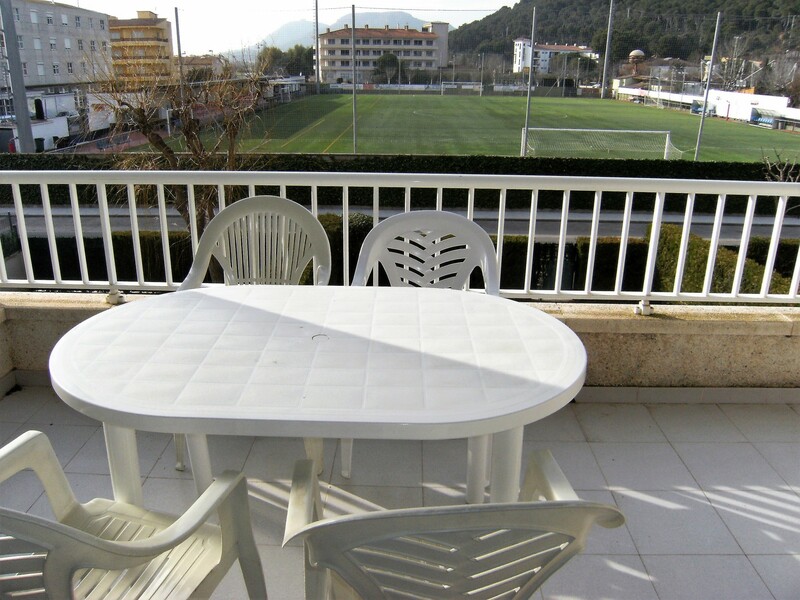 Well maintained duplex apartment a great choice for family holidays in Estartit. This apartment has on its lower floor a lounge / dining area, equipped kitchen, 2 bedrooms, bathroom and a terrace. A spiral staircase leads to the upper floor where there are 2 single beds, a shower room and a large private terrace overlooking the pool. Wifi is available at extra cost and the apartment has an air-conditioning unit. 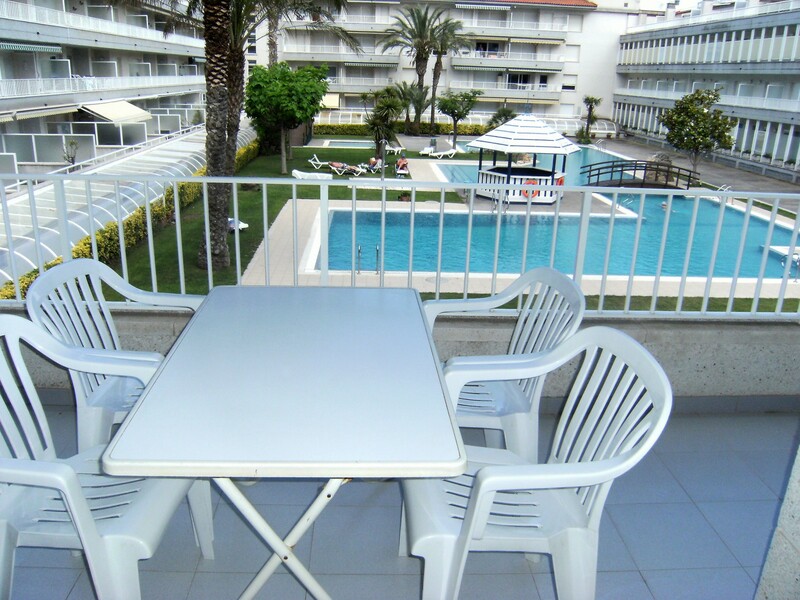 The apartment is all on one level with a large living dining area leading onto a balcony over looking the pool area. There is an american style kitchen. There is one double bedroom and a twin room. The sofas in the lounge can be used as beds. This property offers air conditioning/heating. The balcony is sunny from mid morning to late in the afternoon. Pool facing apartments at the Mar Dor Complex. Air conditioning available in some of the 2 bedroom apartments (please ask for details). The apartments have 2 twin bedrooms and 2 convertible beds available in lounge. This Mar Dor apartment has a furnished lounge with TV, dining area and doors to the furnished terrace. The kitchen is equipped with cooker, hob, microwave, dishwasher and fridge/freezer. There is a double bedroom and a twin bedroom. A family bathroom and a washing machine. Wifi and parking are possible (please ask for details). The Mar Dor is located just 500m from the beach and town. 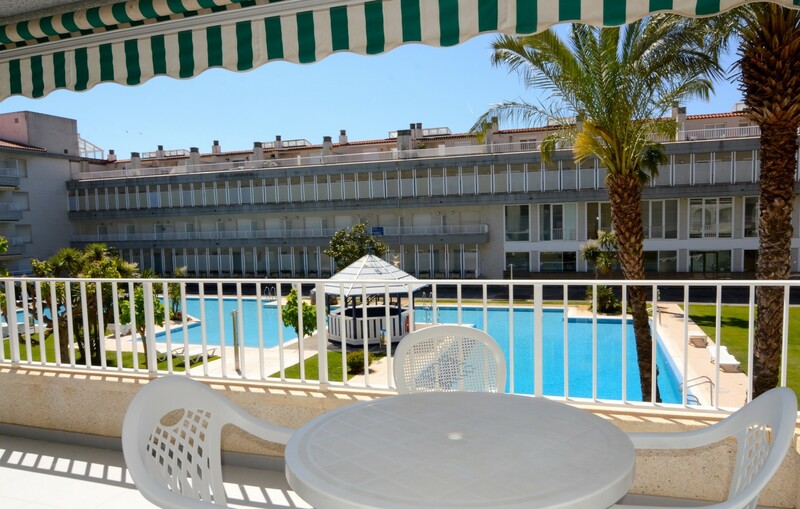 The Mar D'or apartments offer excellent family accommodation in Estartit. Lovely 2 bedroom apartment located just a 400m walk from the sandy beach, which Estartit is best known for. Equipped with air-conditioning and TV, kitchen with microwave, dishwasher, washing machine, fridge freezer, electric cooker. 2 bedroom apartment with one double and one twin bedroom, air conditioned, fully equipped including microwave, dishwasher, washing machine, satellite TV, fridge/freezer, terrace with patio furniture. The Mar D'or apartment complex is one of Estartit's finest complexes. Situated only 500 m from the beach. It has large gardens and a superb feature swimming pool with free poolside sunbeds. This first floor apartment offers a very large living area with flat screen TV and American style kitchen with breakfast bar. 1 double bedroom and a childrens bedroom (with a single bed and pull out second bed. Plus the option of 2 convertible beds in the lounge on request. This apartment at the Mar Dor has two twin bedrooms, bathroom, living room with air-conditioning, sofa bed, flat screen with Satelite Astra French and German. A few English channels. Fully equipped kitchen including dishwasher. There is a washing machine. The terrace overlooks the swimming pool. Lovely 2 bedroom apartment with one double and one twin bedroom, air conditioned, fully equipped including microwave, dishwasher, washing machine, TV, fridge/freezer, front terrace with views of the pools and gardens. The Mar D'or apartment complex is one of Estartit's finest complexes. Situated only 500 m from the beach. It has large gardens and a superb feature swimming pool with free poolside sunbeds. 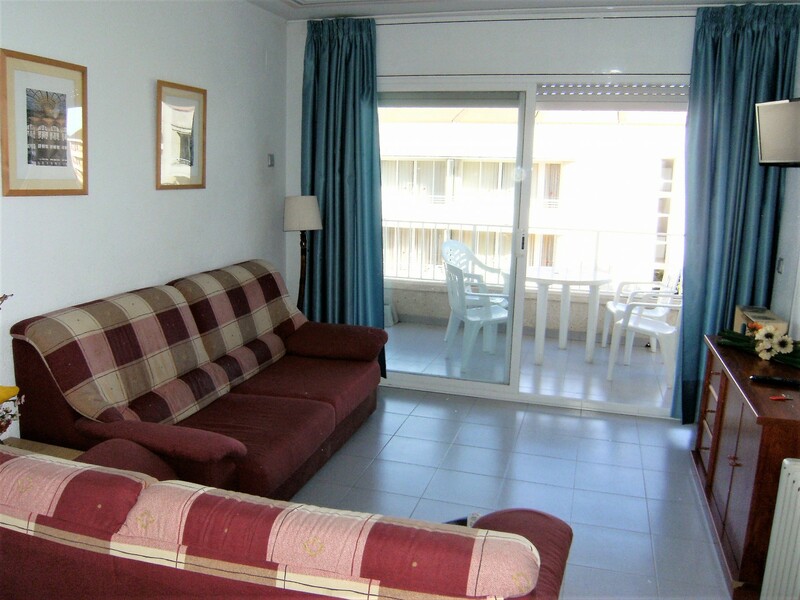 This duplex apartment is comfortably furnished and has TV and partial air-conditioning. Equipped kitchen with washing machine and dishwasher. 1 double bedroom and 1 twin bedroom. Family bathroom. It has a furnished terrace with pool views. Wifi is available on request. This lovely Garden Apartment at the Mar D'or is a very popular rental for families with young children, who are looking for ground floor apartment accommodation with the added benefit of an enclosed private garden which catches the evening sun. This apartment has air-conditioning, a large terrace which leads out on to the lawned garden. It is ideal for couples or family looking for an apartment holiday with that all important extra outside space. This apartment is located on the first floor at the Mar Dor Complex. The apartment has a lounge with TV and doors to the terrace which is street facing. Dining area and fitted kitchen including dishwasher. There are three bedrooms (1 double, 1 twin and 1 with bunk beds) and 2 bathrooms (one with bath and one with shower). There is a washing machine. Wifi is possible (please ask for details). 3 bedroom, 2 bathroom apartment situated in the Mar D'Or complex in Estartit within easy walking distance of the beach and all of Estartit's attractions and facilities. 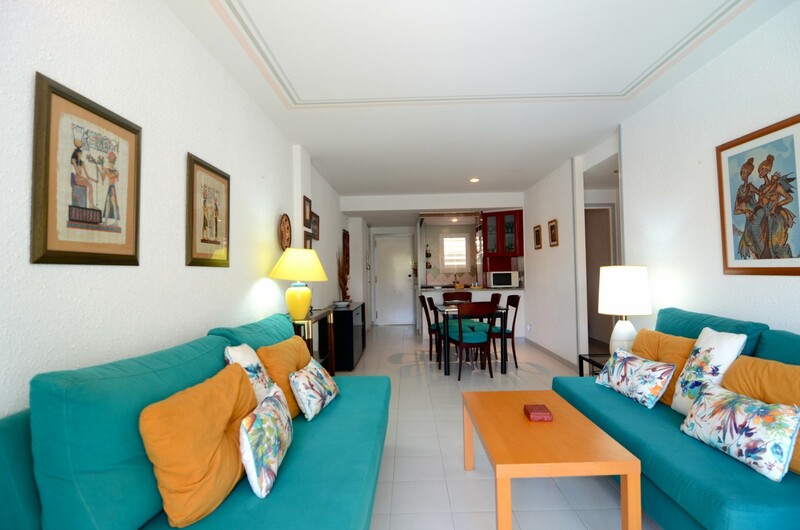 The apartment is in very good decorative order, has air-conditioning, a private parking space as well as a WIFI internet connection. The third bedroom has bunk beds and a pull out 3rd bed. The apartment balcony has summer sun in the afternoon and mountain views. 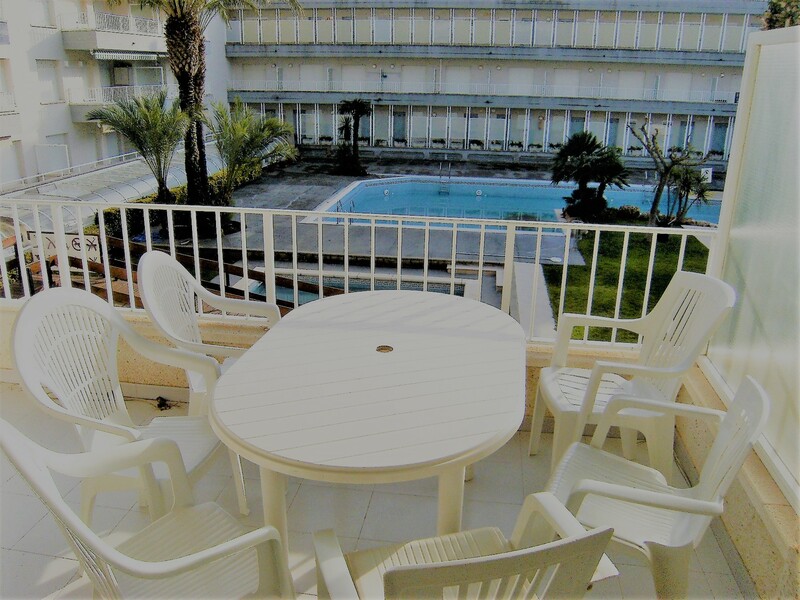 This 2nd floor holiday apartment with pool views is situated in the Mar D'or complex and is close to all amenities and the beach. It has underground secure parking. Consists of 3 bedrooms, a double bed and 4 single beds to accommodate 6 people. It has 2 bathrooms one of which is ensuite. The living room has a modern American style kitchen with washing machine and dishwasher and a large terrace. 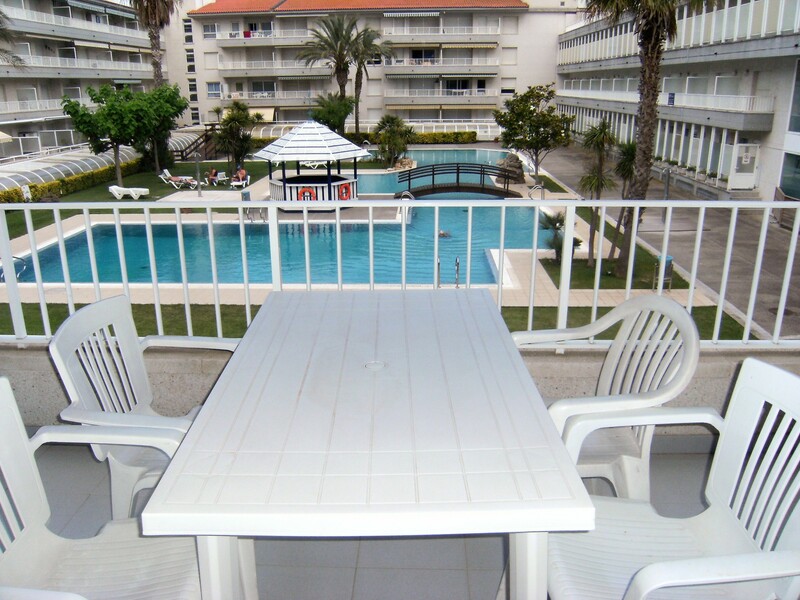 This holiday apartment is located in the Mar D'or complex The apartment has 3 bedrooms and will sleep 6 guests. It has 1 bathroom. The living room has TV and a balcony to the terrace, an American style kitchen with washing machine and dishwasher. This penthouse apartment is on 2 levels with a large living dining area leading onto a terrace. There is an american style kitchen and a main bathroom with jacuzzi bath. Upstairs there is a twin room which has an ensuite bathroom room. On the lower level there are 2 twin rooms and another full bathroom. This property offers air conditioning/heating. 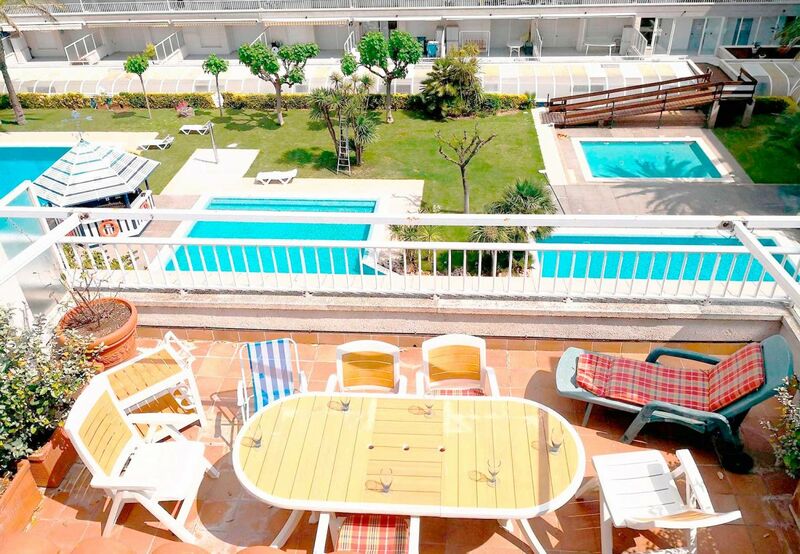 Penthouse holiday apartment at the Mar D'or apartment complex in Estartit. 1st floor consists of an american style kitchen with living and dining area leading onto a balcony. 1 twin or double bedroom - please ask at time of booking if you have particular requirements. 1 small bedroom with access from sliding doors in living room. Main bathroom with jacuzzi bath. 2nd floor: 1 shower room 1 large bedroom leading onto the roof terrace. 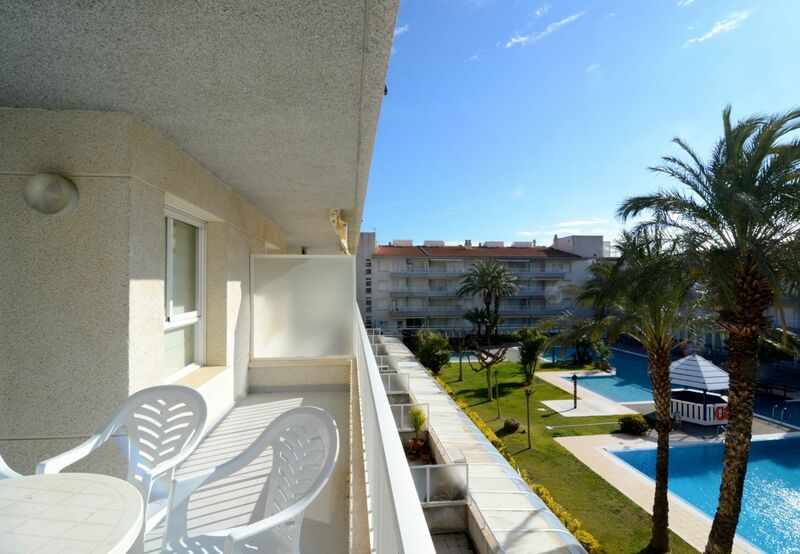 3 Bedroom Mar D'or Ground Floor Apartment overlooking the communal swimming pool and gardens. The apartment has a fully equipped kitchen with oven, hob, microwave, fridge freezer, dishwasher and washing machine. The lounge/diner has TV and super terrace with excellent views of the swimming pool. The apartment has three twin bedrooms, one ensuite shower room and one full family bathroom with Jacuzzi bath. This apartment is all on one level and has living dining area leading onto a terrace and enclosed garden. American style equipped kitchen. One double bedroom which has an ensuite shower room. Main bathroom with jacuzzi bath. 2 children's rooms each with a single bed with folding single bed underneath. 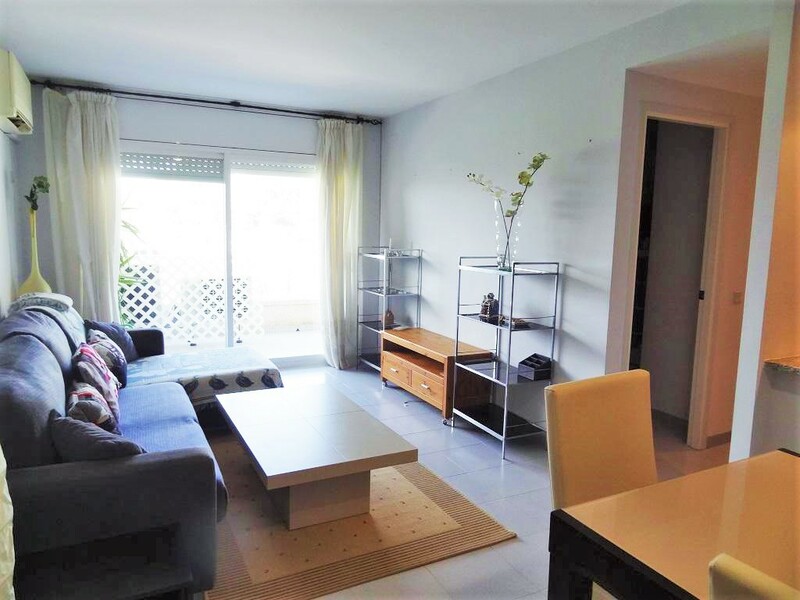 This Mar D'or penthouse apartment is on 2 levels with a living/dining area with sofa bed, equipped kitchen including oven, cooker, microwave, dishwasher and fridge. The apartment has 2 double bedrooms and 1 twin bedroom. It has 2 bathrooms one on the first floor and a shower room on the second floor. This property has air conditioning. Wifi is possible (please ask for details). On the top floor are doors to the furnished roof terrace with views of the pool. This fantastic 3 bedroom penthouse is on two levels and has a well equipped kitchen and bathroom with jacuzzi plus one ensuite shower room: Air conditioning and roof terrace. 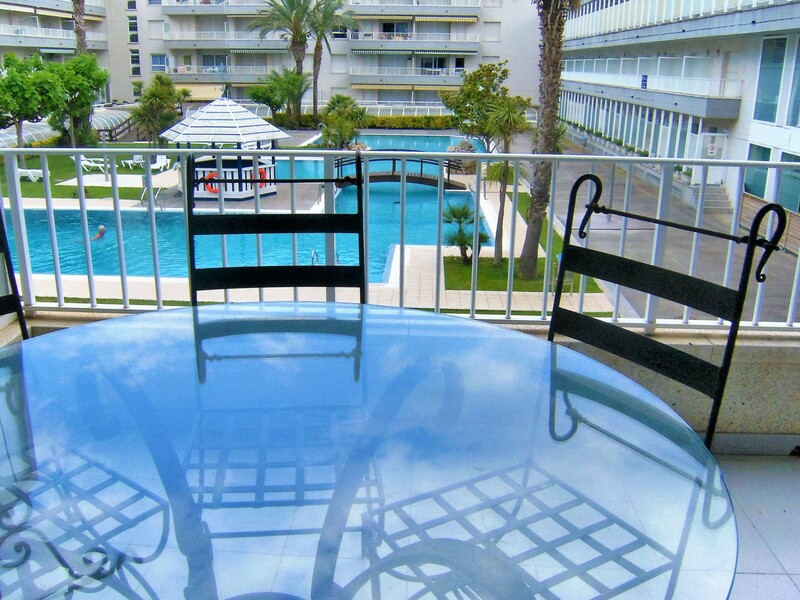 The Mar D’Or complex is a luxury apartment complex located close to shops, restaurants and the beach. It has large gardens and a superb feature swimming pool with free poolside sunbeds. Only 500m from Estartit beach. 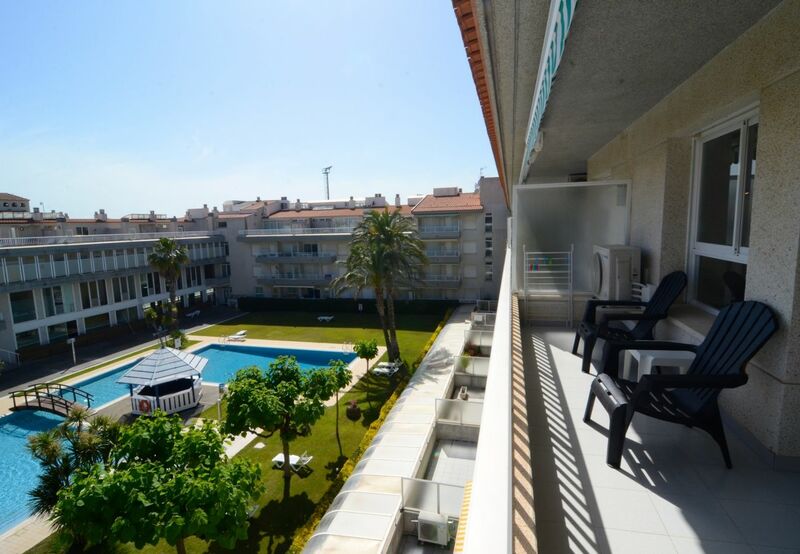 This 3 bedroom penthouse apartment at the Mar D'or complex is situated just 500m from the beach and within easy walking distance to bars, restaurants and shops. 1st floor consists of an american style kitchen with living and dining area leading onto a balcony. Top floor with bedroom, shower room and doors to roof terrace.